The Afghan National Army is a creation of the United States and other countries, whose presence in Afghanistan maintain Karzai in office. The threat of ANA units without support carrying retaliatory attacks into Pakistan territory is just that, a threat incapable of being effectively acted upon. The current Pakistani government ridden by disputes among its coalition partners and with President Musharraf is unable to act. Rather than sealing off the border it is entering into treaties pacifying those it would have to war with to do so. 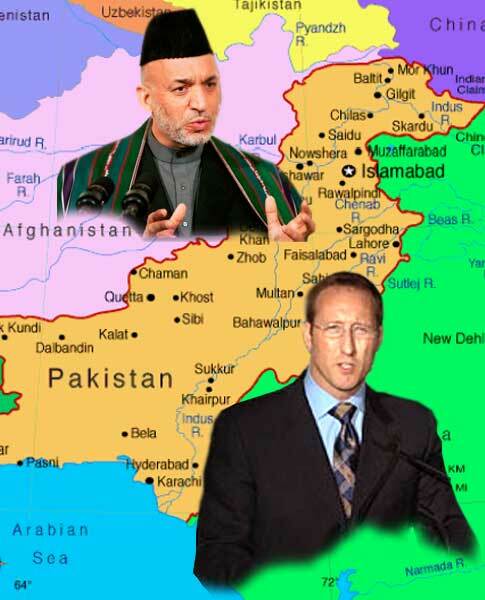 President Karzai's bravado, unfortunately, may be based on his being a shill leading up to just this U.S. action. As for the possibility, let alone probability, of the Government of Canada seeking to rein in the Pentagon and the White House the thought is pure fantasizing.